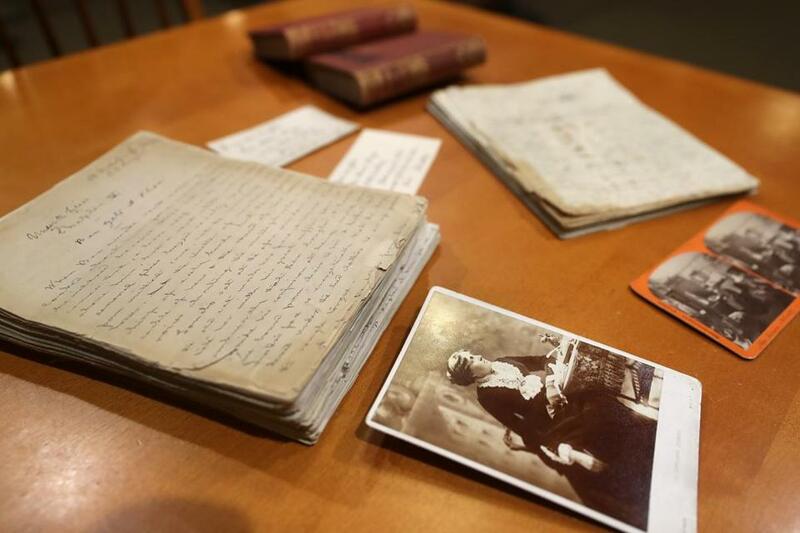 Five-hundred pages of original manuscripts by Louisa May Alcott are now at the Concord Free Public Library. The beloved 19th-century author Louisa May Alcott has always had a special connection to the Concord Free Public Library. She and her family lived in numerous houses in Concord — including Orchard House, now a historical museum dedicated to her life and work — around the time of the library’s founding. She studied under the tutelage of family friend Ralph Waldo Emerson, who served as keynote speaker when the library held its opening ceremonies in 1873. And she and her father, Bronson Alcott, both donated works to the library’s Concord Authors Collection. Alcott has also long been well-represented in the library’s William Munroe Special Collections department, which owns two manuscript chapters from “Little Women” and two from “Little Men,” novels she wrote while living at Orchard House. 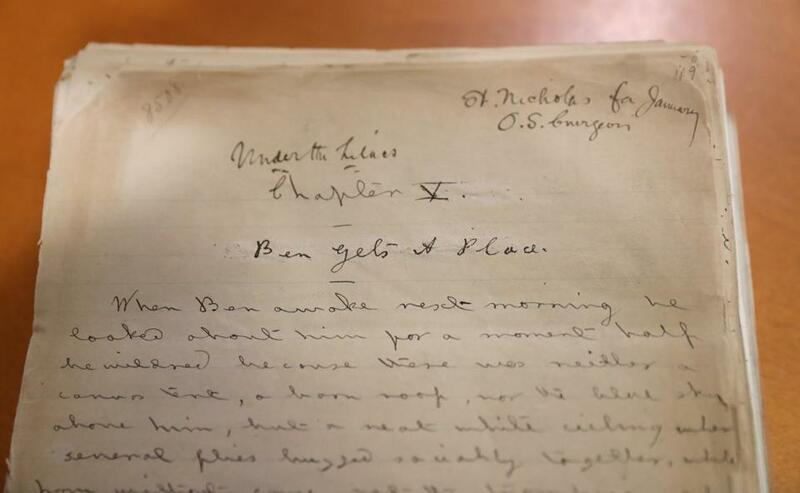 Leslie Perrin Wilson, the special collections curator, had reason to believe those four chapters comprised the bulk of extant documentation reflecting Alcott’s writing process. Alcott had instructed her publisher to destroy any printer’s copies of her works still in progress after her death, and Alcott herself destroyed her own working copies of her manuscripts. Then Wilson was contacted by rare books collector Marsha Malinowski of New York City, who passed on the shocking news that she had a client who possessed two more segments of original Alcott manuscripts. They totaled 500 pages of text, including the last six chapters of Alcott’s 1875 novel “Eight Cousins” and chapters 5 through 24 of “Under the Lilacs,” published three years later, complete with printer’s edits. Almost no one — not Wilson; not Joel Myerson, editor of published collections of Alcott’s letters and journals; not Jan Turnquist, longtime executive director of Orchard House — knew these manuscripts existed. Wilson, too, says the importance of this find cannot be overstated. Despite what appeared to be an astonishing opportunity to enhance the library’s collection in previously unimagined ways, the process of acquisition was by necessity painstaking. A decision needed to be made by the trustees of the private corporation that funds special collections at the library to approve the expenditure. Though the corporation refuses to disclose the dollar amount, the decision wasn’t only about the expense, said Sherry Litwack, Library Corporation Trustees president. Though the sellers’ identities will not be disclosed, per terms of the sale, Wilson is free to discuss the manuscripts’ provenance, which Malinowski described as “impeccable.” In 1929, the two manuscripts were acquired by a rare-book dealer who was best known for his scholarship on Balzac, Wilson said. Some degree of skepticism is always appropriate when approached about such a rare find, Wilson said. She is often dismissive of the so-called treasures that patrons tell her they have found on eBay, such as purportedly original Emerson manuscripts in the author’s own handwriting. “But once Marsha sent me the images, I could see for myself that they were just what she had said they were. Still, we sought some outside expertise. A professional appraiser came to take a look, as did Myerson, who is a specialist in Alcott material.” Both examiners vouched for their authenticity, Wilson said. The acquisition will soon be available for public viewing, and Wilson looks forward to the day when everyone — from acclaimed Alcott scholars to what she calls “pilgrims” who stop by the library to absorb the Alcott ambience — comes to take a look and to continue the centuries-old discussion about the Alcotts and their work. 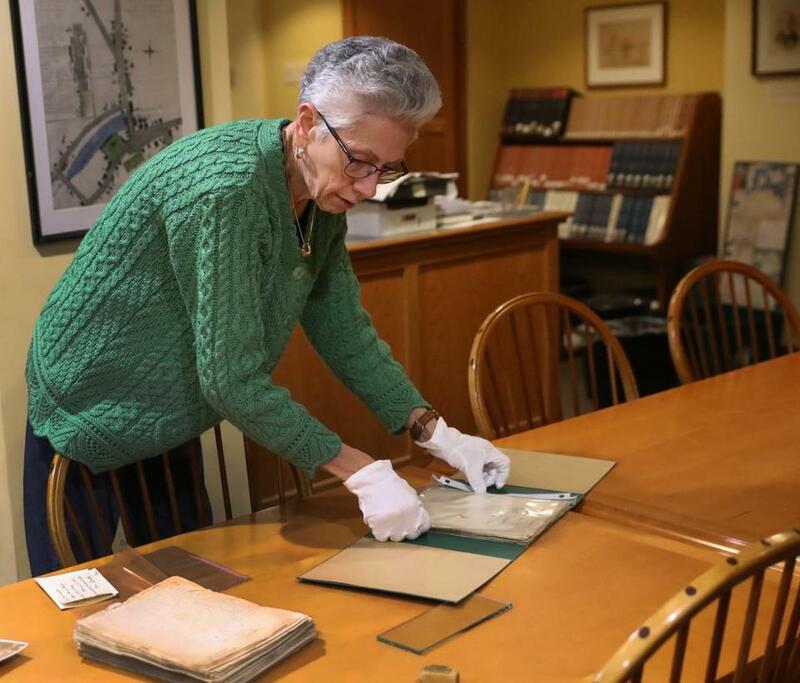 Leslie Perrin Wilson is the special collections curator at the Concord Free Public Library.